The high costs of spine treatments in many western countries are causing people to look outside their local turf and find affordable options abroad. Treatments like spinal tumor removal in Korea are largely being sought by patients from different parts of the wrold. 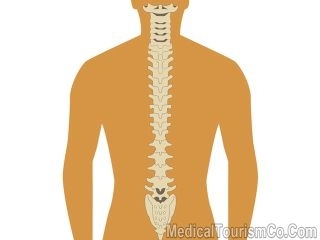 Other spinal procedures like disc replacement, cervical laminectomy, lumbar corpectomy, and scoliosis treatment in Korea are also a hit among foreign patients, who cannot afford them back home. 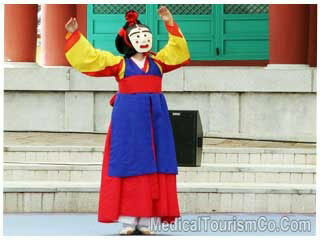 Korea is emerging as a popular medical tourism destination as it provides quality healthcare services at low cost. A research conducted by RNCOS (a leading market research and information analysis company) has found that this East Asian country is becoming a favored destination for medical tourists especially from US, Japan and China. What Does the Surgery Package Include? All medical expenses such as fees of surgery team, pre and post operative tests, etc. Required hospital stay for the patient and one accompanying guest. Assistance in finding an affordable accommodation near the hospital for additional stay. Private transportation between airport, hotel, and hospital. Private transportation for all medical expenses. Pre and post operative guidance. Assistance with tourism related activities. Copy of medical reports and operation notes in English. Any non-standard tests that might be required during spinal tumor treatment. First specialized hospital in Korea to be accredited by Joint Commission International. Has received 99.7 points overall score and full marks of IPSC (International Patient Safety Goals) set by JCI. The hospital tries to make use of a minimally invasive technique for spinal tumor removal. This leads to shorter hospital stay, minimal scars, and lesser recovery time. Highly trained and qualified medical staff. Qualified doctors having overseas training and experience. Entry requirements: Passport is required by everyone. Citizens of USA do not need a visa for a stay up to 90 days. Citizens of Canada do not require a visa for a stay of 180 days. People from other countries, or those desiring to know more, may contact us to get further information. Currency: SK Won. There are currency exchange counters at the airports. Dialling code: The country code of Korea is 82 and city code of Seoul is 2. Patients looking for affordable spine surgery abroad can consider traveling to Korea for spinal tumor removal.